The benefits of making energy efficient improvements to your home or commercial building are easy to see: lower energy bills, greater comfort and higher property values. But the cost of making those improvements can be a real barrier. Some states are considering a smart new approach to financing these improvements called On-Bill Financing. On-bill financing lets home or building owners make energy efficiency improvements with no up-front cost. The costs are repaid through an added charge on your monthly utility bill. BUT the financing is usually structured so that the added charge is equal to or less than the energy savings – so you end up paying the same or less than you did before! 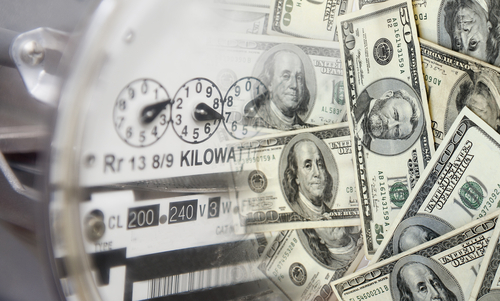 An energy audit is the first step in on-bill financing. The audit helps identify which upgrades will add the most value. The most common improvements are things like lighting upgrades, insulation, air sealing and heating and cooling improvements. Utility companies currently offer rebates for energy efficiency improvements, but access to money to pay for the up-front costs is still a barrier for a lot of people. On-bill financing would help solve that problem. 22 states currently offer on-bill financing, Pennsylvania is looking at two particular models to decide which way to go. 1) PSEG in New Jersey offers interest-free loans that can be repaid over five years, or over 10 years for properties mortgaged by the Housing and Mortgage Financing Agency. PSEG’s program has been very successful, with financing provided to over 3000 participants to date, and $36 million repaid. 2) National Grid has financed small business projects in Massachusetts, New York and Rhode Island. National Grid also offers 0% financing, and with over 12,000 customers and over $20 million repaid, it has a default rate of less than 3 percent. Pennsylvania’s Public Utility Commission is currently working on a pilot program to provide on-bill financing to small commercial and multi-family buildings, because these sectors need financing help the most right now. This pilot program will be the starting point for a larger statewide program in the future. The on-bill financing program in Pennsylvania is a huge step forward in helping home and business owners take the steps now to make greener buildings for tomorrow. It may also serve as a model for other states who are watching them closely. Building Energy Pros Can Help! Your local Building Energy Pros affiliate can help you find out which rebates or financing programs you qualify for. Visit www.buildingenergypros.com or call 1-800-309-6006 for more information.